Handbags… The necessary accessory that holds every single thing you need in your everyday life (and some junk, of course). Some women like them big, some small, some cheap and some – very expensive! We made a list of 15 most expensive handbags in the World! So, let’s check how much are some women willing to pay for their luxury handbags. 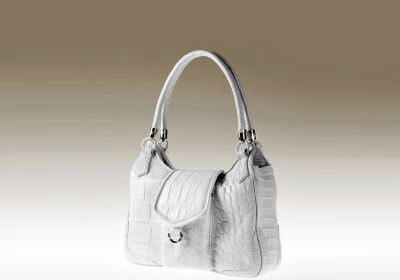 Gucci, the biggest-selling Italian brand, recently offered a sophisticated and sleek bag made of crocodile skin. Gucci is one of the most known and respected fashion brands in the world. Therefore, we don’t doubt this bag will be sold out soon even though the price is ridiculously high! This bag may look like a regular bag with timeless black hue and structured shape but – it’s not! 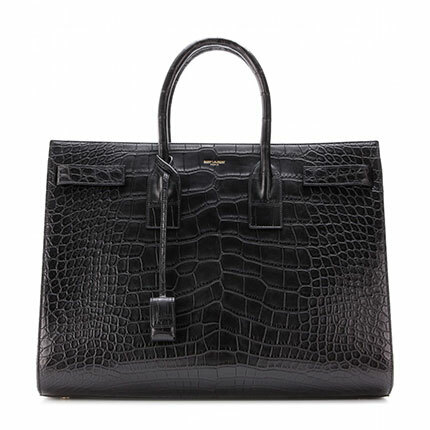 Saint Laurent decided to satisfy exotic fashion lovers with this alligator leather bag. Without doubt, this bag will be seen on arms of many A-list celebs’. 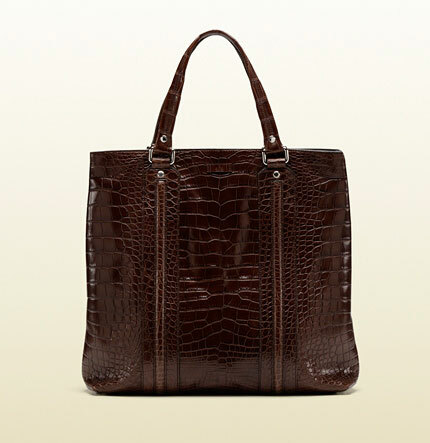 Yes, another bag made of crocodile skin! Despite the high price, ‘Carolyn’ is one of Marc Jacobs’ most popular items. 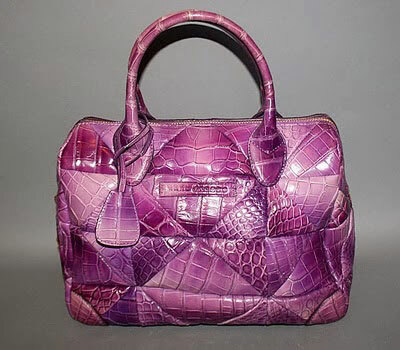 If you want it in your closet, you’ll need to set aside $38,000 for this unique purple quilted skin bag! This bag may look ordinary but it’s definitely more than an ordinary bag. Designed by Norwegian designer, Hilde Palladino, Gadino bag is another ridiculously expensive bag on our list. 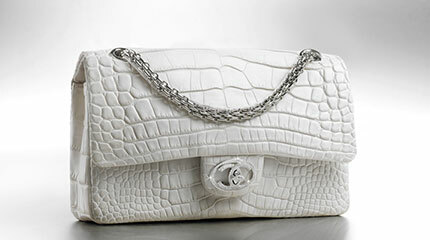 This white luxury bag is made from crocodile leather. If you look closely, you’ll see 39 white diamonds hidden in clasps made of white gold. Wow! 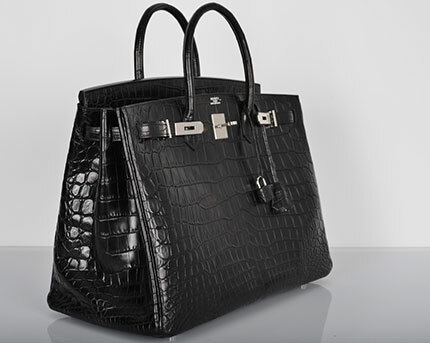 Palladino’s bags are regularly listed among the most expensive bags in the world. They can be seen and bought in high-end stores like Harvey Nichols, Goodman, and Bergdorf. Its hefty price tag hasn’t swayed Louis Vuitton fans from buying this unique looking bag. Patchwork bag is a collage of 14 different LV bags. This bag was handcrafted in the LV atelier and it’s limited-edition. Only 24 pieces were made and they have been sold out worldwide. Beyonce is the proud owner of one. This bag isn’t only the one of the most expensive handbags in the World, many bloggers and fashion designers named it the ugliest bag ever. Luckily, no more are being made. Croc Biarritz is sure to be exclusive not only because of the exorbitant price tag, but also the limited quantity made. This bag is touted as Chanel’s city bag and it’s from 2007 collection. So, if you planned to buy it for $43,150, you can’t because it’s sold out. Sorry! This “wearable art” bag has been available in limited edition of 12. Bag was designed by the former Full House stars and twins, Ashley and Mary-Kate Olsen, and artist Damien Hirst. 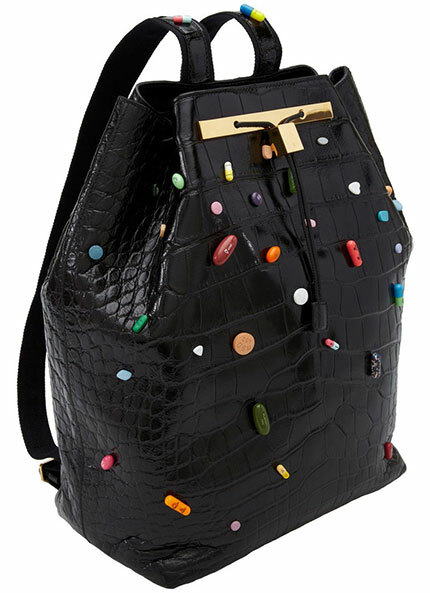 Backpack was made of black leather Nile crocodile skin and was decorated with colorful prescription pills. It was crafted in Italy using traditional techniques. If you are a woman who loves her bling, this bag is definitely for you. 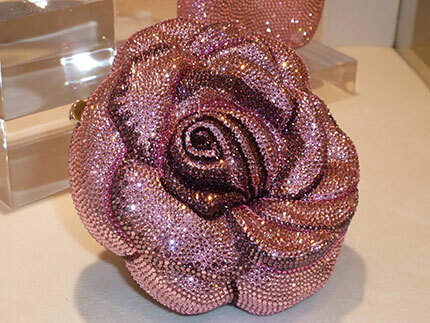 This cute rose-shaped handbag was designed by Judith Leiber. This expensive beauty is made with 800 tourmalines, 1,169 pink sapphires and 1,016 diamonds. With so many diamonds and sapphires, the bag can be replaced for a piece of jewelry, right? Bag is 100% unique since it’s a limited edition of just one bag! If you want to be a owner of this ‘one in the World bag’, you’ll need to have additional $92,000 in your pocket. There’s no people in fashion industry who doesn’t know about popular fashion brand Hermes and their expensive Birkin bags. Birkin bags are a synonymous for luxury – if you’re rich, you need at least one Birkin bag in your closet. This is why they are must-have bags for many celebrities – Victoria Beckham, Kardashian family, Beyonce, Lady Gaga, Heidi Klum, etc. 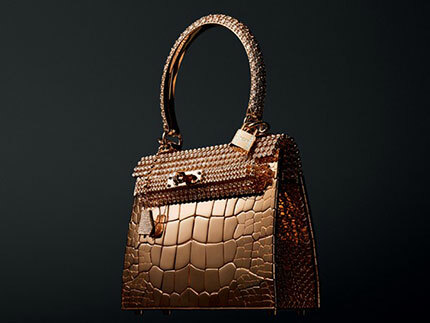 Besides our list, Croc Porosus bag also made on Forbes list of World’s most extravagant handbags. This exotic bag has 10 carats of diamonds set in white gold. Diamonds are placed on its clasp and bag was made of crocodile skin. Another LV bag on our list. This one is almost four times more expensive than the ‘Patchwork bag’. 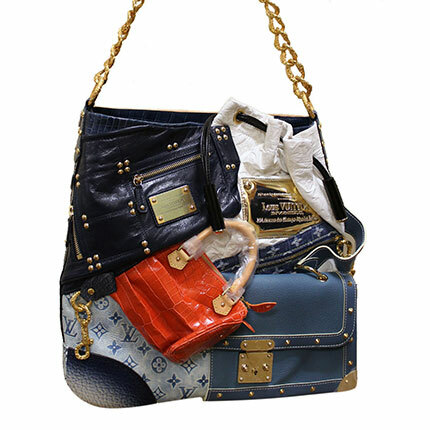 If you think paying $45,000 for a ‘Patchwork bag’ is outrageous, then get a load of this LV $150,000 ‘Urban Satchel’ bag. 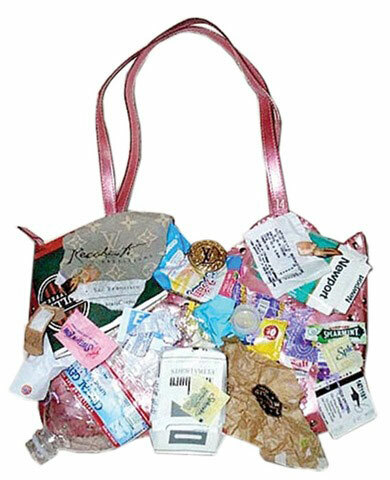 This expensive bag is hand-crafted with carefully chosen “urban charms” – water bottle, cigarette packs, tea bags, candy wrappers, etc. For some people this bag is considered as work of art but for others it’s only urban garbage. What’s your opinion – art or garbage? Cleopatra bag contains a clasp of 1,500 black and white diamonds contained in 18-carat white gold. 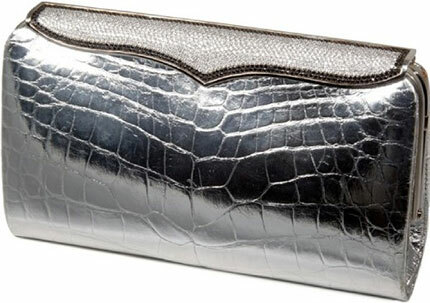 Other part of bag is made of metallic silver skin of alligator. Lana Marksmakes only one ‘Cleopatra’ bag per year. Charlize Theron, Jennifer Aniston, Lucy Liu, Oprah Winfrey are just a few of her well-known customers. This $250,000 exclusive bag was worn by Helen Mirren when she won Oscar for Best Actress in 2007. 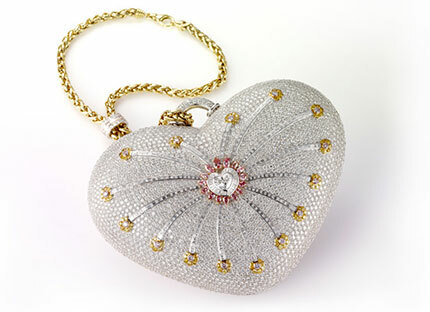 ‘Diamond Forever’ purse features 334 diamonds and 18-carat gold hardware that total 3.56 carats. Bag was created by Karl Lagerfeld for Chanel in 2007. Everyone knows Chanel isn’t cheap, so this purse is no exception. Super-rich people can afford it for only $261,000. There are only 13 of these bags in the world and her lucky owners aren’t known. Hermes admitted they gone a bit crazy with this bag (and we have to agree)! This miniature bag has leather based body with thousands of individually crafted diamonds around the bracelet strapping. Pretty luxury, ha? Man behind the design of the bag was Pierre Hardy. He spent 2 years on design and creation of this extremely expensive handbag. There are only 3 units which makes them very exclusive and limited. We hope that they’ll include a 24/7 security guard in the price, too. The lucky owners will certainly need it! Hermes seems to really like designing and selling those $1.9 million bags because here is another one! Ginza Tanaka bag is a titanium bag set with more than 2,000 diamonds. Straps of the bag can be removed and worn as a bracelet or necklace. It also has an 8 carat pear-shaped diamond that can be used/worn separately. Mouawad us a privately held multinational timepiece and jewelry company that sources gemstones and diamonds. 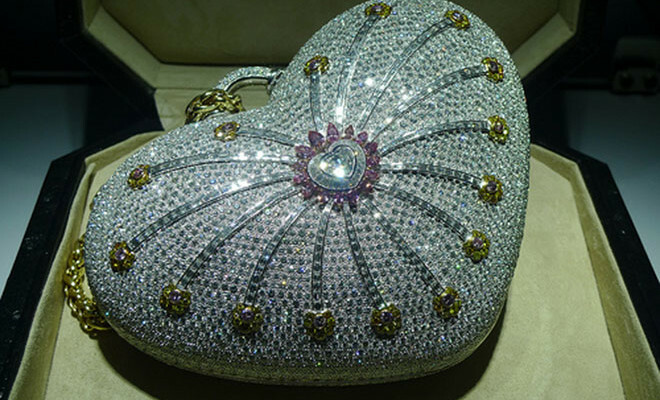 This heart-shaped purse incorporates 4,517 diamonds! 4,356 diamonds are colorless, 56 are pink and 105 are yellow. Also, it’s handcrafted from 18kt gold with a total weight of 381.92 carats. 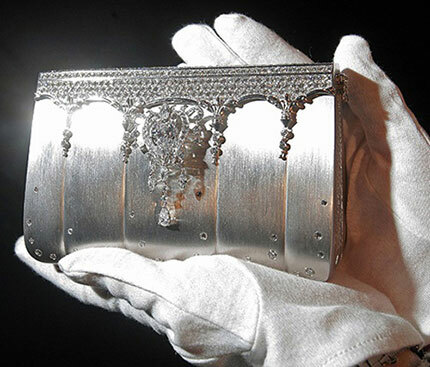 ‘10001 Night Diamond’ purse was declared as the most valuable purse in the world ($3.8 million) by Guinness World Records in 2010. There has been no word yet if anyone has bought the purse. Here’s the video and pictures of the most expensive bag in the World – $3.8 million bag by Mouawad.